‘Fisayo Soyombo, editor of TheCable, has emerged winner of the Newcomer of the Year category of the 2016 Free Press awards, which held in The Hague, Netherlands, on Wednesday night. At the awards, held annually on November 2 — the International Day to End Impunity for Crimes against Journalists — Soyombo was named winner, ahead of Zimbabwean Tafadzwa Ufumeli and Albanian Mechman Huseynov, for ‘Forgotten Soldiers’ — a five-part series exploring the agony of soldiers shattered by Boko Haram’s bullets and mines, and what their pains mean for their loved ones. 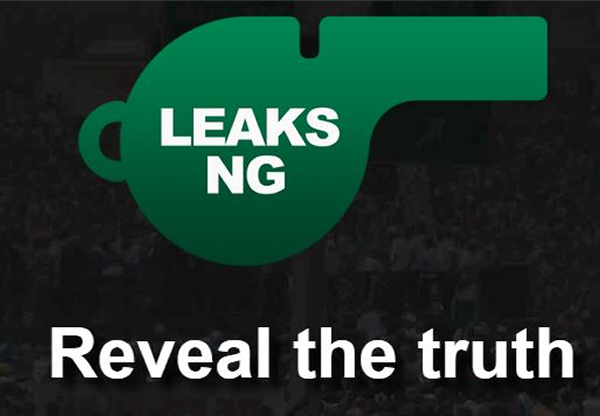 After the story was published, the Nigerian army had accused Soyombo, TheCable, as well as the International Centre for Investigative Reporting (ICIR), which collaborated with TheCable on the project, of committing “subversion” — a treasonable offence punishable with death under military regimes. The jury also praised Soyombo for his other two entries: ‘Undercover Investigation: Nigeria’s Customs of Corruption, Bribery and Forgery’, and a three-part investigation into Liberia’s post-Ebola recovery and the embezzlement of funds meant to fight the virus. “He travelled to Liberia to cover its post-Ebola recovery at the great personal risk of possibly contracting the virus himself,” Fidan Ekiz, Dutch journalist and documentary filmmaker, said while handing the award over to him. In a brief speech after receiving the award, Soyombo said: “In Nigeria, there are two types of investigative journalists: the ones who are viewed by the people as foolish because they died while chasing investigative stories; and the ones who are described as brave because they have managed to stay alive. He thanked his mentor, Jahman Anikulapo, former editor of TheGuardian on Sunday; his boss, Simon Kolawole, chief executive officer of TheCable; and Dayo Aiyetan, executive director of the International Centre for Investigative Reporting (ICIR). “I studied Animal Science in the university and I probably would be on the farm by now, tending to cattle, sheep and goat,” he said. “But after I opted to become a journalist, a certain editor denied me a place in his newsroom just because of my science background. But Mr. Anikulapo gave me a chance. I am forever grateful to him, and I’ll never pick up any award without mentioning his name. In the other two awards handed out, Hamid Mir, a Pakistani journalist, was named Most Resilient Journalist of the Year, while Klaas van Dijken won the Best Report award, which is meant for Dutch journalists. Wednesday’s award came a month after Soyombo was named Journalist of the Year (Business and Economy Reporting) in the PricewaterhouseCoopers Awards, and three months after his short-listing for the 2016 Kurt Schork Awards in International Journalism. This is what you get when you are passionate about what you do. Congrats Fisayo, I always knew this day will come. God, your selflessness and passion will continue to take you to greater heights. Congrats Fisayo, more awards will come your way. You’re destined for the very top. Congratulations to Fisayo for winning the award and to Simon for running TheCable! I love Simon’s columns- why is there no award for best columnist in Africa?? He would get the award hands down. Fisayo, you must take up the cause of Nigerians imprisoned outside the country. Thanks and God Bless the people behind TheCable! Mr. Fisayo Soyombo, we are proud of you here at University of Ibadan. You’ve laid down a good ground to trode. ADEDOKUN Seyi is my name, member, Union of campus Journalist, university of Ibadan. Also studying Animal Science but have passion for Journalism. GREAT! GREAT! GREAT! MAY GOD CONTINUE TO LIFT YOU HIGH IN YOUR CHOSEN PROFESSION-JOURNALISM. PLS KEEP THE FLAG FLYING!